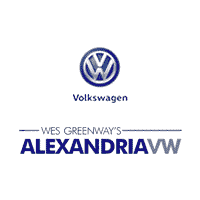 At Alexandria Volkswagen you won’t have to compromise on quality with our used inventory. Drivers in Arlington will be able to find the ideal used Volkswagen for sale, and even take advantage of our rotating used vehicle specials. Browse our inventory below to find popular models like a used Volkswagen Jetta or used Volkswagen Golf for sale. Contact us if you have any questions about our available Volkswagen inventory or want to take a test drive to experience Volkswagen performance in person. If you want to narrow your used car search in the Washington DC area, browse our Volkswagen Under 10K inventory, or find out more about the benefits of buying a Volkswagn certified pre-owned. Our friendly staff looks forward to helping you find your next car for a great price!